He represented one of the best eras of Packer football when he played and one of the worse eras when he coached. Bart came through his coaching era still beloved but I dont think Forest ever got that back. Probably the best offensive lineman to ever play for the team. Less fond memories of his coaching career (especially Chicago). RIP Forrest. Another from the Lombardi era passes on. As a coach, I prefer to think of the Super Bowl Bengal team. Is everyone spelling his name wrong for a reason (pet peeve of mine...)? RIP Forrest. Condolences to family & friends. Good stuff from Deacon Jones. I always thought Forrest would be the one to get the Pack back on the championship track after Bart came up short. He was a stolid disciplinarian, scary looking at times with that look of determination like he ready to grab a helmet. He ended up to be just what the Bengals needed at the time. But his Packer coaching tenure did bring us the infamous Charles Martin body slam of Jim McMahon. Sorry to see him go. That is very high praise if Vince Lombardi says that about you. Unfortunately I am too young to remember the glory years and I sure wish I could have seen him play. Tremendous player on a team of the decade that will never be matched (Don't even think about comparing the Patriots) - only team that came close was the 1970's Steelers. Forrest Gregg - A man among men & top 100 player of all-time NFL. I tip my cap to you - RIP sir. I'd say the highlight for Forrest as a coach at GB was the end of the '84 season. They finished 7-1 to end the year and I thought for sure they would take that momentum and carry it over to '85 for a huge year, but it didn't work out that way. RIP Forrest, did a lot of impressive things when he wasn't coaching the Packers. So of the 1960's main OL of Masters, then Skoronski, Fuzzy, Ringo and then Bowman, Kramer and Gregg only Jerry Kramer and Ken Bowman are still alive. With all his medical issues before and during his career it is amazing that Kramer might live the longest. RIP Forrest. One of the toughest SOBs to play the game and had the talent to back up every bit of it. From muddy road grader to Starr protector, he ruled. Something tells me when he's buried he won't include his Cowboys Super Bowl ring in his items going with him to the afterlife, but you never know. Thanks for recalling that season, 'phoe. I remember we started out 1-7, and there was the typical grumbling, wailing, and gnashing of teeth. But that second half of the season...man, we were on fire! It was very enjoyable and exciting, and it made me wonder...is the Pack finally back? RIP for a great Packer. What a freaking terrible thing to wake up to. I feel somewhat ashamed admitting this as a grown man, but when I heard Forrest had passed, I teared up a little bit. I don't give a damn what he did or didn't accomplish as a Head Coach with the Packers. Not anymore. 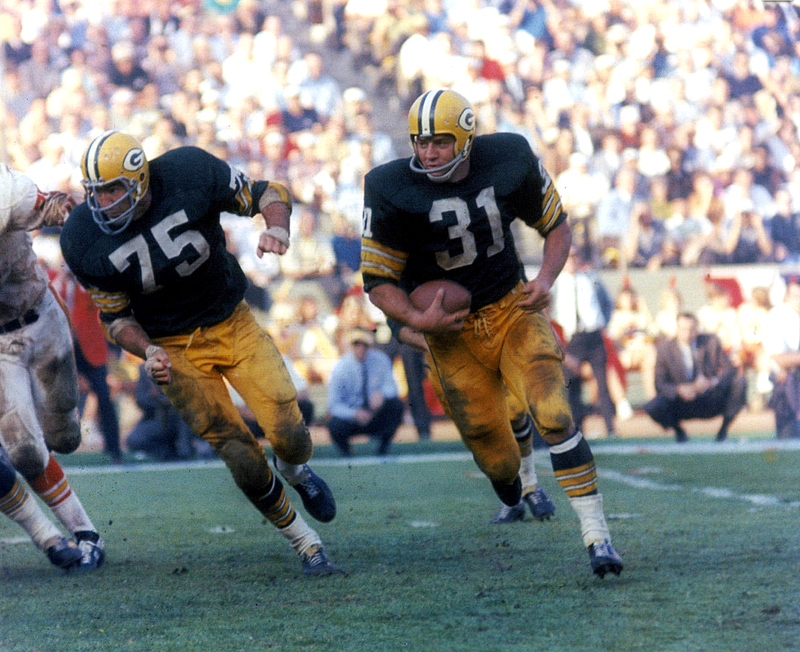 It was frustrating as a young teen sitting at County Stadium watching the Packers suffer through years of mediocrity, yes, but what he did on the field during the Lombardi years, even though it all sadly happened before I was born, secured his place in Packer lore forever. His failure as Head Coach in Green Bay doesn't diminish his accomplishments, or the kind of man he was. Over the years, stories have popped up about Forrest Gregg on the news down here where I live, as he's an SMU legend. The guy was respected as a leader on the field, and a man with a good heart off of it. Bengals players he coached are singing his praises, as they should. He might have had a strong work ethic coming to Green Bay, but it's little surprise that one of Lombardi's "guys" was a disciplinarian in Cincy. Anthony Munoz, one of the greatest left tackles to ever play the game, revered Gregg. Parkinson's is a bleeping terrible disease. RIP, Forrest. I'm sure that Vince and the other guys were there to greet you at the pearly gates. There are so few of the Lombardi Packers stars left now. Bart Starr, Paul Hornung, Jerry Kramer, Boyd Dowler, Herb Adderley, Willie Wood, Willie Davis, Dave Robinson, and Bobby Dillon. Am I missing anybody? I have no problem admitting that, grown man or not, I'm going to ball like a child when we lose Bart Starr. The Packers had so much "Greatness" associated with the team through it's players, its coaches and it's fans. This is truly sad for all Packers' fans. One of the NFL's best ever O Linemen just went down. Bow your head and show some respect!